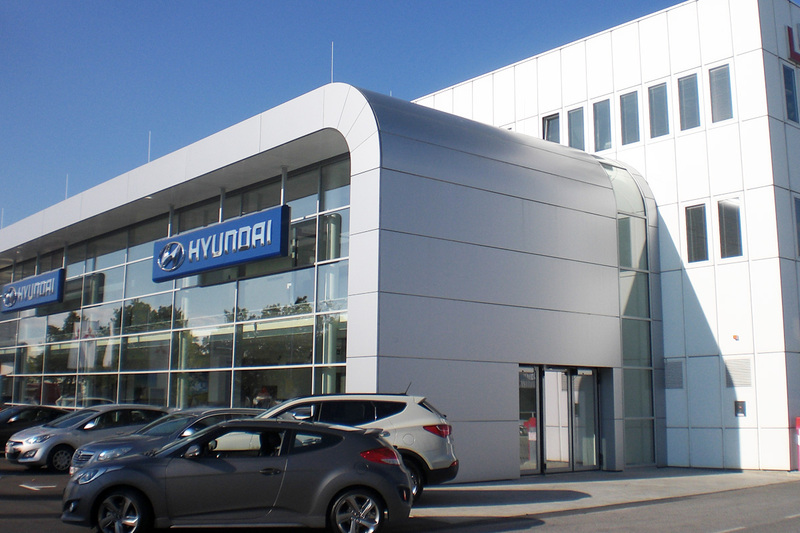 After only 6 months of construction, the new exhibition building for Hyundai Import GmbH was handed over to the developer for his use on July 31, 2012. 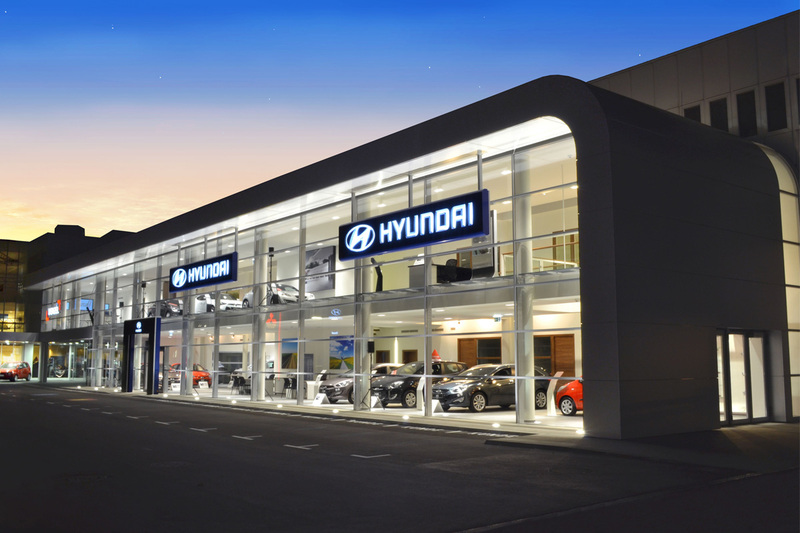 The new flagship store for Hyundai represented a challenge not only in the planning phase. Implementing the structural framework conditions in a Zone 3 earthquake region with an open join between the existing and the new building, but also the curved exterior and interior walls or the unsupported arch over the entrance to the direct reception area – these were major challenges which the craftsmen under the management of construction manager, Mr. Michael Schmidt, and general contractor STRABAG, had to face. With the completion of the outer areas, the effect of the 40 metres long, two-storey building already confirms the vision of a transparent exhibition area for the Hyundai brand bathed in light. 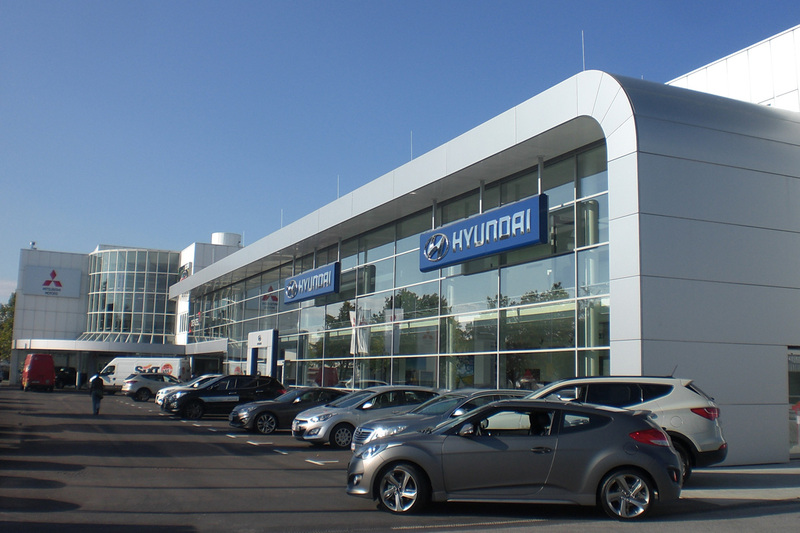 The new construction project combines both the existing building and the Hyundai and Mitsubishi brands at this import location in a harmonious but yet representative manner.